There are foam rollers that weigh half a pound and foam rollers that vibrate at three different speeds, foam rollers that cost upwards of $300 and even, foam rollers you can stick in the freezer. And while there are so many choices, the benefits of foam rolling are more than just self-massaging a tight IT band, explains Lauren Roxburgh, the best-selling author of Taller, Slimmer, Younger—21 Days to a Foam Roller Physique and creator of the Lo Rox Aligned foam roller. 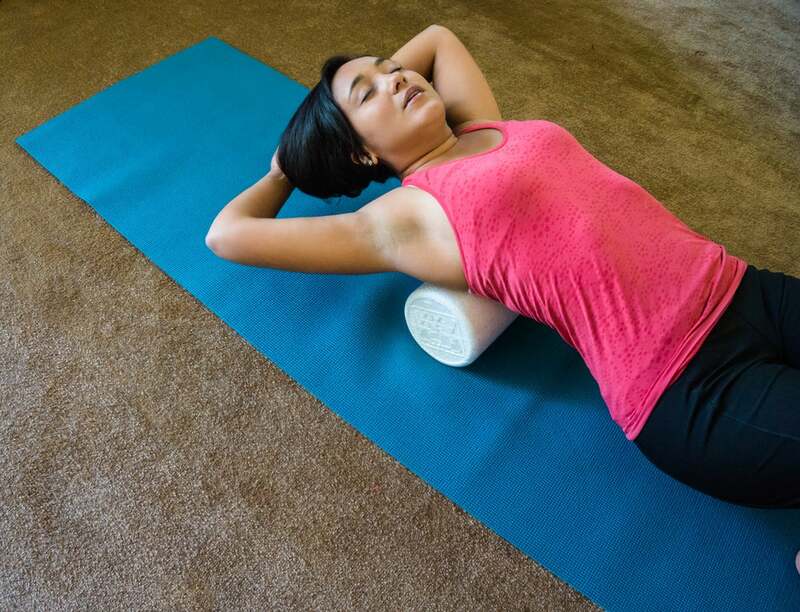 There are a range of foam rollers of all shapes and sizes available, but many experts recommend starting off with a lower density-to-medium density roller to work out tight muscles. “As you become more accustomed to the pressure, you can increase the density and method of rolling to further release tension in the muscle and connective tissue,” notes Jacque Crockford, American Council on Exercise senior personal training expert. Smaller areas of the body, such as the feet, can be worked over with a small roller or even a ball. Leave the thick, round foam rollers for large muscle groups, such as the quadriceps, illotibial band, calves and hamstrings, notes Melanie Strassburg, physical therapist and assistant clinical director at New York-based Professional Physical Therapy. For more pressure, look for “rumble rollers”—rollers that have rounded “spikes” on them. While foam rolling is supposed to bring benefit the runner’s body, it can also cause harm if it isn’t done correctly, experts say. That could include using too hard of roller that makes the release uncomfortable or using too much pressure that causes pain. Another mistake is rolling over bones and rolling over injuries. “With a muscle strain, going directly over the area will increase inflammation, increasing tension in the area of injury,” Strassburg says. Foam rolling before a run can be a beneficial part of a warmup. Foam rolling before a workout stimulates blood flow, Strassburg says. She said says should foam roll up to 60 seconds on the IT band, quads, hamstrings, calves, glutes and other tight muscles before stretching. The rolling should be a little painful, Crockford says. Lay on the roller the long way so that your entire spine is supported from head to tailbone. Begin with your arms out to the side with palms up and chest expanded. Inhale deeply as you reach your arms up overhead slowly and with control, keeping them as close to the mat as possible and parallel to the floor. Exhale completely as you draw your arms back down by your hips and gently exhale all the air out of your lungs. With the roller placed under your calves, right below the knee (but take care to stay off the back of the knee). Cross your left calf over your right calf on the roller. Place your hands on the ground a few inches out on either side of your hips, fingers pointing outward. Press down into your hands to lift your bottom off the mat, keeping your calves balanced on the roller. Sit on your mat and place the roller beneath your hamstrings. Place your hands behind you with fingertips pointing out to the side. Press your hands into the mat to lift your bottom off the floor. Continue pressing your hands into the mat and engage your core to rock yourself forward and backward, pushing the roller up and down the hamstrings, from just under the bones at the base of your pelvis that you sit on to just above the knee. Breath deeply, exhaling as you move forward and inhaling as you move backward. Come down to your forearms with your belly facing the mat. Place the roller under your hips. Keep your abs engaged to prevent overarching your lower back. Exhale as you roll all the way down to the tops of your knees. Inhale as you slowly roll up to your hips. Taking care to keep your upper body square to the ground as you move, use your forearms and left leg to power the motion as you roll the roller out toward the knee (stopping just above it), and back up to your groin. Come down to a deep squat position and place the roller under your mid-upper shins and keep your toes curled forward and your heels reaching back so the arches of your feet are really stretched out. Place your hands shoulder-width apart on the mat and keep your shoulders drawn down for the duration of the exercise. Use your feet and hands to roll forward, point your toes and slightly internally rotate your toes in and then roll up and down your shins.